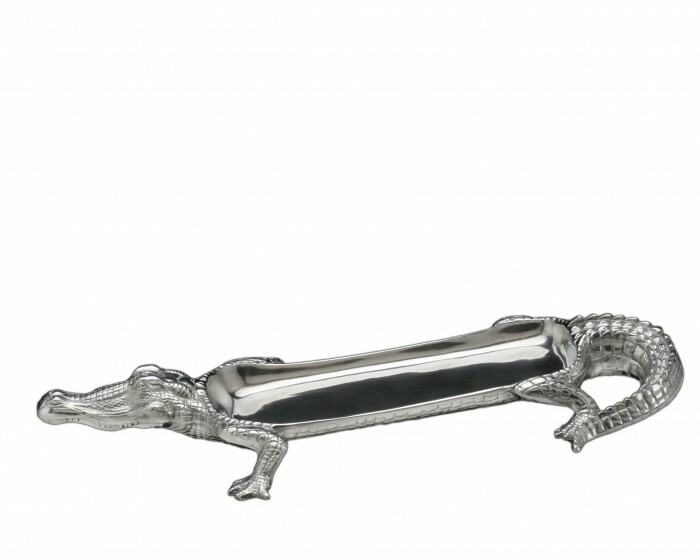 Use your creativity to create beautiful arrangements of chocolates, sushi or wraps in Arthur Court's Alligator Figural Tray. An alligator's back thins out into a smooth, gleaming space for food, while its scaly tail swishes out the back. Handcrafted in lustrous aluminum, this tray stands above the ground on four legs as a unique conversation starter. Size: Length: 17.0" / Width: 7.5" / Height: 1.0"